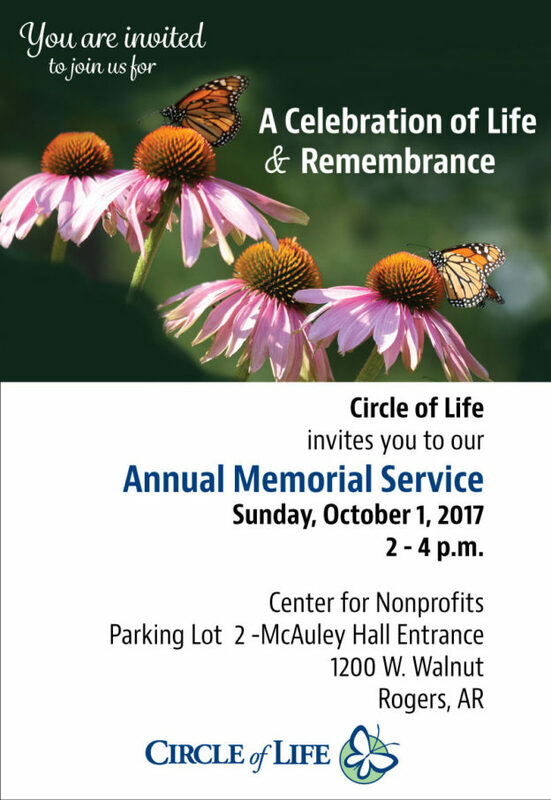 Circle of Life invites the community to join their annual memorial service on Sunday, October 1. The service celebrates the lives of those who were cared for by hospice. “Each year the service brings community members together to support each other through the struggle of losing a loved one,” said Allison Wright, Bereavement and Spiritual Care Manager for Circle of Life. A special part of the service is the stone ceremony in honor of loved ones that have died during the past year. The service will be held at 2 p.m. at the Center for Nonprofits in Rogers. Following the memorial service, everyone is invited to a time of fellowship. Circle of Life Hospice provides comfort and support for terminally ill people of any age and their families. 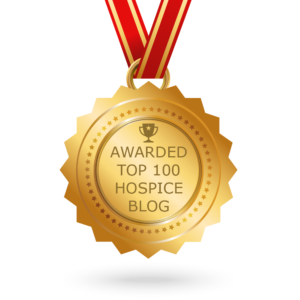 Hospice emphasizes symptom and pain control as well as comfort and support for the people living with a terminal condition. This entry was posted in Grief, Legacy on August 29, 2017 by CIRCLEadmin.